History museums are important. The question is how important are they relative to other state functions and services? Do they have priority over education and public safety? Over state parks and rest stops? 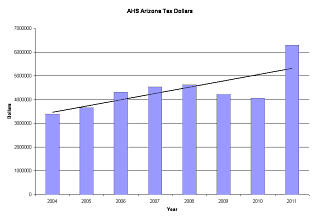 As the chart shows, the AHS budget grew rapidly during the good years. Then, as bad times began, the budged declined somewhat. However, for 2011 they hit the jackpot. 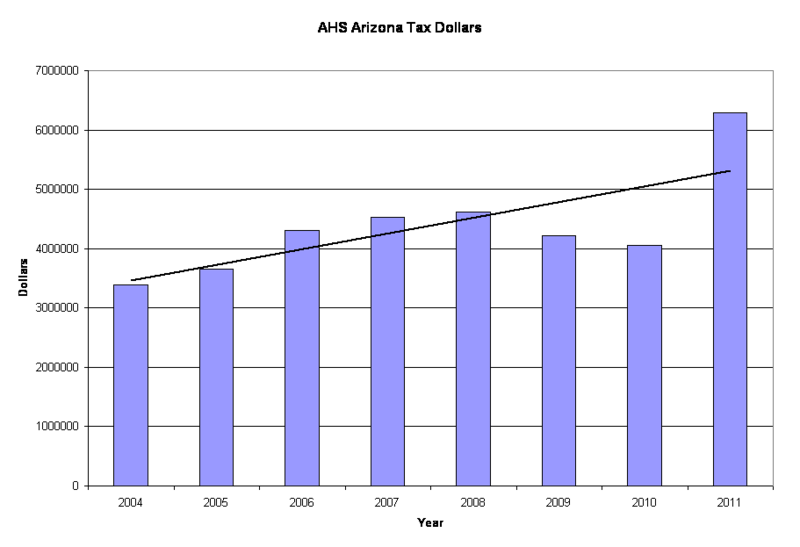 Governor Brewer gave them a huge increase in the midst of the great recession. The trend line in the figure shows this even puts the 2011 AHS budget well above what might have been expected if the economy had not crashed. The 2011 AHS budget is 54% over the 2010 budget and a whopping 85% over the 2004 budget. Even those huge numbers do not tell the whole story. Historical society museums are a double dipper in the state budget. There is over 6 million dollars in the 2011 budget for the Arizona Historical Society as shown in the figure. There is also an additional $762,000 for the Prescott Historical Society of Arizona. That’s a whopping total of over 7 million tax dollars for historical society museums in 2011. Is this how Arizonans want their tax dollars spent? Would they rather go to a history museum than to a state park? Would they rather have access to a history museum than to a rest stop while traveling? Thus far, the must remarkable thing about the Arizona Centennial Museum has been secrecy. Details of its planning are still unclear, but it now appears that it began about a year ago. The participants were apparently the Governor, her Natural Resource Policy Director, the Director of the Arizona Historical Society, and a lobbyist. Exactly what or who motivated this planning is still unknown. On June 7, 2009, the director of the historical society sent a letter to the Governor protesting budget cuts. State funding was to be phased out over a period of 5 years with annual cuts of approximately $800,000. However, as centennial museum plans progressed, the historical society received a huge budget increase instead. The details of whatever deal took place remain secret. On Feb 12, 2010 the Governor appeared in the mineral museum and presented preliminary plans for the centennial museum to only a small invited group. There was no public announcement. An attorney from the State Attorney Generals office was brought to the mineral museum to place existing mineral museum staff under a gag order. The Governors office did prepare a press release, but it was mysteriously not published in Phoenix papers. In following weeks the Arizona Republic did print a very brief statement on the editorial page. It was contained within a more general article about the centennial, and attracted little attention. A few dissenting letters were published in letters to the editor, but the centennial museum remained mostly under the radar. That changed in August 2010 when the Arizona Capital Times and the Arizona Republic each featured and article about the Arizona Centennial Museum. The articles were thoughtful, and discussed both the anticipated benefits of the new Arizona Centennial Museum and the potential loss of the existing Arizona Mining and Mineral Museum (it presently occupies the same building). In, September 2010, Arizona Public Media posted an article about the mineral museum which includes a video interview with the curator and a partial tour of the museum. Hopefully, these articles will initiate a much needed public discussion about what Arizona may gain and what Arizona may lose as a result of the Governors centennial museum plan. click on "Valley and State"
Will the Arizona Centennial Museum comply with the law? During the Senate Hearing on House Bill 2251, many people appeared to speak in defense of the existing mineral museum. That did not stop the majority on the senate committee from voting for the bill as the Governor told them to, but one senator did offer an opportunity to amend the bill. The amendment was intended to preserve some worthy elements of the existing top rated mineral museum as the building is reassigned to the historical society for the centennial museum. 1. The Arizona Mining and Mineral Museum would retain its name and identity, and would be housed within the centennial museum using a portion of the buildings floor space. 2. The curator would have appropriate scientific credentials (knowledge of or experience with minerals). 3. All existing mineral museum items and artifacts would be retained, including the outdoor displays. 4. The earth science educational programs that support state mandated K-12 science curriculum would continue. Representatives of the Governors staff and the Arizona Historical Society (AHS) resisted these changes, but they did become part of the final bill as passed by House and Senate. The law became effective at the end of July, and the historical society has now taken control of the mineral museum building and mineral collection. The initial AHS plan for the centennial museum was to inter-mingle the various items from the 5Cs. What ever remained of the mineral collection would not have been together in one place. The plan also included “relocation” of the outdoor displays. Will the historical society now comply with the law and revise the centennial museum plans to incorporate an intact mineral museum and retain the outdoor mining displays? 1. Page 5, line 19: The Arizona Historical Society shall operate and maintain the centennial museum that houses the mining and mineral museum …………….. Line 26: to maintain the mining and mineral museum as the state depository for collecting, cataloging, and displaying mining artifacts and specimens of various ores, gemstones, lapidary material and other valuable mineral specimens. 2. Page 6, line 1: To authorize the director to employ a curator for the museum. The curator shall possess knowledge or experience in mineral collecting or shall have other museum experience. (Note: somehow, during the legislative process. the word “and” became “or” in this statement thus destroying it’s obvious intent. As is now, a temporary janitor from the bead museum is qualified to be the curator). 3. 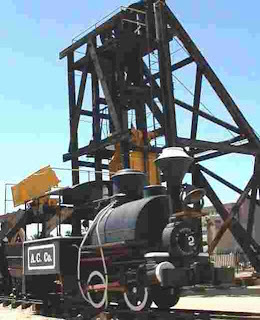 Page 6, line 7: The Arizona Historical Society shall maintain the items, artifacts and other inventory received for display and storage, including equipment and out door displays, and shall not sell or otherwise dispose of materials received for the centennial museum or the mining and mineral museum. 4. Page 6, line 4: To operate educational programming for the museum. Is the cost estimate for the Arizona Centennial Museum a low ball? The Arizona Historical Society (AHS) initially stated the Arizona Centennial Museum would require 9 million dollars of funding. That number continues to be used, and was again cited in recent articles in the Arizona Republic and the Arizona Capital Times. During the Senate hearing on the centennial museum bill, that cost estimate was challenged. However, the director of the AHS assured the Senate committee that the AHS had good price estimates for the project. It was not a bid, and it was not even signed. It did not appear to include funds for contractors to actually work on the building. The preliminary sketches of the centennial museum show all new landscaping and paint. The renovated building is described as having a new entry foyer on the north side, a kitchen, a cocktail bar, and many thousands of square feet of new floor space. None of the cost for any of this subcontracted work appeared to be included. There was apparently no money for interior painting, new carpet, or second floor air conditioning. There was apparently no money for bringing the ancient and inadequate electrical wiring up to code, no money for repairing or replacing the creaking and sagging floors, and no money for repairing the crumbling west masonry wall. There was no money for permits to renovate a historic building, and there was not even money for demolishing existing ADMMR office space. 2. The AHS does not know what the 5C museum will cost. If either the AHS or the Centennial Foundation is using the 9 million dollar number in fund raising efforts that may be a serious misrepresentation. The people of Arizona deserve an accurate and complete cost estimate for this project. There should be an independent audit of the centennial museum budget. Without it, an existing functional and valuable State facility (mineral museum) may be made unusable and then abandoned because of insufficient funds to complete the centennial museum. Note: This posting will be either corrected or deleted immediately if anyone can provide credible information showing that 9 million dollars is a reasonable cost estimate for the centennial museum. Did Rep. Russ Jones read the Arizona Centennial Museum bill? In a recent Capitol Times article, Russ Jones is quoted as saying that is was necessary to transfer the mineral museum to the historical society to ease the budget of the department of mines and mineral resources. For Jones, a prime sponsor of the bill, to say that is astonishing. It suggests that Jones may not have even read the bill he sponsored. The bill transferred the entire rent budget for the building to the historical society. The building, pictured in the Capitol Times article and located at 1502 West Washington in Phoenix, has two occupants; the Arizona Department of Mines and Mineral Resources (ADMMR) and the Arizona Mining and Mineral Museum (AMMM). The bill Jones sponsored transferred funding for the rent of the entire building to the Arizona Historical Society (AHS). The budget of the ADMMR is not eased; it is in far greater jeopardy than it was. The department has not one dollar more for staff and non facility expenses that it did before the bill was passed. Not only that, but the ADMMR is now being required to move out of the building. They now don’t have insufficient money for rent; they have no money for rent. They are now reduced to mooching floor space in another building during the coming fiscal year. When they can no longer find a place to mooch space, they are out of business. The ADMMR loses and the mining industry loses. The Arizona taxpayer doesn’t do well either. Before the centennial museum plan was hatched in secrecy, the State portion of the AHS budget that was being phased out over five years. This “necessary” change requires that the State portion of the AHS budget not only be restored, but increased substantially. The taxpayers will have to provide six million dollars per year to AHS for the centennial museum plan to work (see July 21 blog posting). The Arizona taxpayers lose. The mineral museum does not do well either. As a best case, it is compressed into 20% of the floor space it now occupies and loses all of its outdoor displays. Since statements by the Governor and the AHS issued since the Governors initial press release say the 5cs will be supplemented with many other Arizona industries, the 20% will shrink to far less than that. The mineral museum loses. A mineral museum thus decimated will be unable to continue the earth science displays and educations programs. Arizona teachers depend on the mineral museum to assist them in complying with the state mandated earth science education curriculum. They have no other resource to help them with this part of the curriculum. Students and teachers lose. Finally, the historic and scientifically significant Arizona mineral collection, assembled over 125 years, is placed under the control of the AHS. The historical society does not have appropriate scientific credentials for this responsibility. The Arizona mineral collection, an irreplaceable State treasure, is at risk. Arizona loses. Yet, Russ Jones believes this mess is a “win- win”. Did he ever read the bill?. How does the Arizona Centennial Museum “save” Arizona's mineral collection? To those of us not privy to the secret meetings (see Aug 7 blog posting) that created the Centennial Museum, it looks like the threat to the States historic and scientifically significant mineral collection is the Centennial Museum. Now, we are told the Centennial Museum is going to save the mineral collection. From what? The bill establishing the Centennial Museum became law last week. As a result, the mineral collection appears to be split between two state agencies in some inexplicable way. One of those agencies does not have appropriate technical qualifications. Furthermore, the collection has been separated from the supporting documents that gave it scientific value. Yet we are told that some coalition of centennial museum supporters is “saving” the mineral collection. Where is the coalition of industries that are going to fund the ‘saving”? When the centennial museum bill was pushed through the legislature last spring, there was no funding for it. None. Somehow, the bill passed anyhow. Now the Governor has supposedly assembled a “coalition” of industries to fund whatever it is that is going to happen. Who are these companies? Why are they hiding? How much have they contributed? How will contributions to the centennial museum “save” the mineral collection? Does the Governor really understand the current status of the centennial museum project? If she does, could she please provide some detail to explain what is happening? Will the Arizona Centennial Museum erase history? The photo below (from the Governors website) shows an exterior view of the Governors plan for the Arizona Centennial Museum. This plan was prepared by a sole source contractor, and is apparently the only plan considered. The existing building, at 1502 West Washington, appears exactly as it does now, except for the colored murals on the walls. So exactly what is the Governor applauding? The only remarkable thing about the picture is what is not in it. The building is currently occupied by the Arizona Mining Mineral Museum and is surrounded by historic mining artifacts. 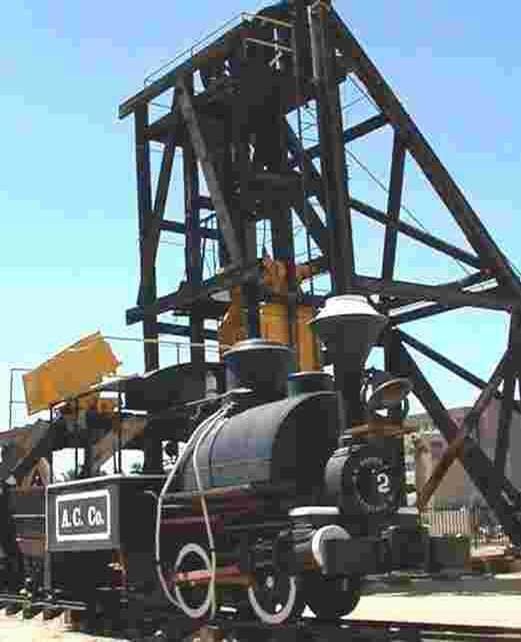 There is a very historic mine head frame from Bisbee, and a baby gauge mining locomotive from Clifton-Morenci. These are shown in the second photo, which is from the mineral museum website. Other historic artifacts are included in the existing outdoor displays. Among them is a mucker from the Red Rover Mine near Carefree, a huge shovel bucket from Superior, and a stamp mill from the Swallow Mine near Wickenburg. Thousands of volunteer hours have restored the stamp mill and the mucker to operating condition, making them very unique displays. The Governors contractor told mineral museum volunteers all of these outdoor displays would be “relocated”. There was no elaboration to explain whether a new location would be provided, whether they would be placed in storage somewhere unassembled, or whether they would be scrapped. The mineral museum is a fundamental part of Arizona’s history. It began long before statehood as an exhibit in the 1884 territorial fair. In 1917 the first permanent display was established on the Arizona State Fairgrounds for that very purpose. As it continued to grow over the years, it was moved to the current location to provide more space. There, it blossomed into one of the States top rated museums as it preserved mining history, presented educational mineral displays, and archived invaluable mineral specimens and documents with historic and scientific value. According to the only available preliminary plans for the Centennial Museum, virtually the entire existing mineral museum is at risk. The irony of the situation is that the Centennial Museum will be operated by the Arizona Historical Society. Will the Arizona Historical Society be helping the Governor erase a significant part of Arizona’s unique mining history? Will the Arizona Centennial Museum corrupt the political process? When Governor Brewer announced the Arizona Centennial Museum in February, she promised that it would be built with “no public funds”. On the surface, this sounds like a good thing. Private support for public projects has been one of the truly wonderful byproducts of the American free enterprise system. The Carnegie libraries constructed in many American cities are a classic example. However, key features of the many successful privately funded projects are that the donor had a vision for the project and the money was provided voluntarily. If politicians actively solicit funding for their own pet projects the political process can be quickly corrupted. The current scandal surrounding U.S. Representative Charles Wrangle is but one of many sad examples. Because of the secrecy surrounding the Arizona Centennial Museum, it is difficult to determine its legitimacy. Did industry leaders approach State officials and propose the Arizona Centennial Museum? Or is someone in Arizona’s State government conducting a shakedown? What is known is that, just over a year ago, the Arizona Centennial Museum was not included in centennial planning. There was no mention of it, and the Arizona Historical Society (now the designated manager of the centennial museum) was facing budget cuts that eliminated all state funding over five years. Apparently, planning began in secret meetings with the Arizona Historical Society, the Governors office, and persons unknown in the fall of 2009. When potential contractors began measuring and photographing the building (currently the mineral museum) employees and volunteers in the existing museum were threatened with a gag order. Complete secrecy continued until the Governor made a presentation on the centennial museum in the mineral museum. Even then, only a small group of people were invited, and the gag order on mineral museum personnel was reiterated. The Governors office did issue a press release, but the Arizona Republic did not print it. Arizonans deserve more complete disclosure on the planning of and the funding for the Arizona Centennial Museum. Who proposed this museum at this late stage in centennial project planning? Who participated in the secret meeting with the Governors office? Why were the meetings secret? Who, if anyone, expressed interest in providing funding? Do any potential contributors have an interest in current or pending legislation? Why were sole source contractors chosen? The citizens of Arizona deserve answers to these and other questions. Clouds of suspicion will surround the Arizona Centennial Museum until the cloak of secrecy in which it was planned is removed. Although no evidence of wrongdoing has surfaced thus far, the secrecy raises suspicion. Note: The Governors office did not respond to a request for copies of meeting minutes on Centennial Museum planning.